Jimmy Barnes is the heart and the soul of Australian rock ‘n roll. After 40 years on stages of all kinds, Jimmy is an icon – his nickname “Barnesy” conjures up thoughts of rock music at an ear-splitting volume, and of soul standards given a unique reading. 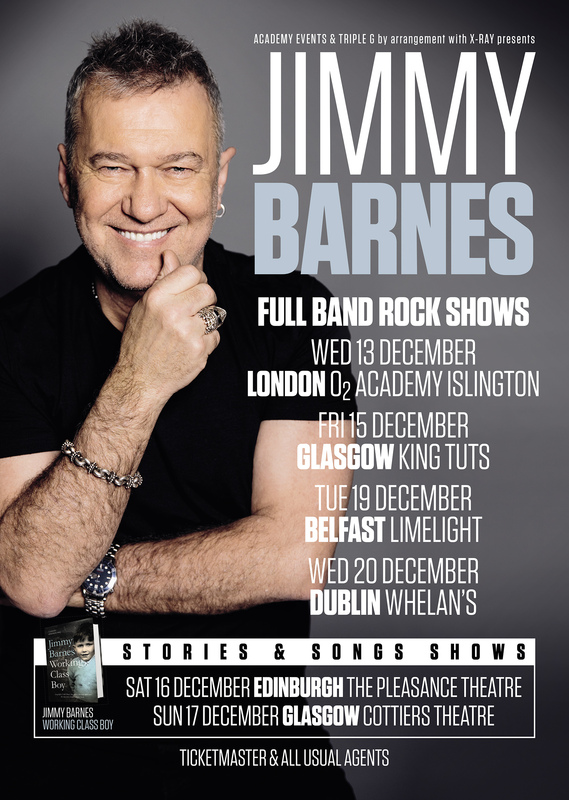 Jimmy’s live shows are legendary for their intensity and for the first time since 2011, Jimmy is returning to the Northern Hemisphere for a series of rock shows in London, Glasgow, Belfast and Dublin, as well as two special Working Class Boy: An Evening of Stories & Songs shows in his beloved Scotland this December. 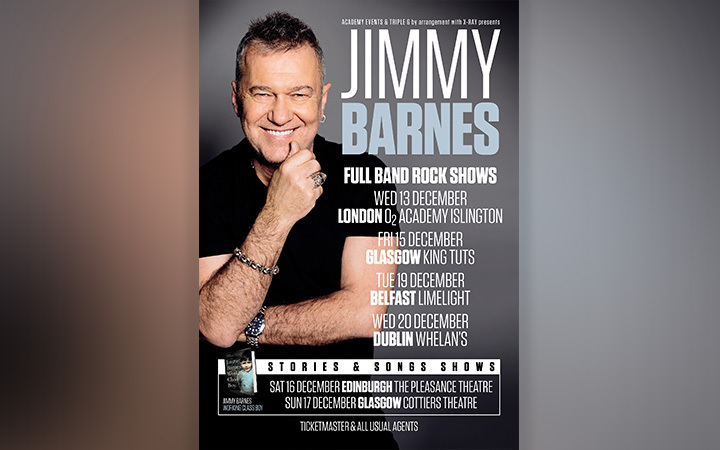 Fans seeking tickets for Jimmy’s shows are reminded to only buy tickets from the official ticket agents listed at www.jimmybarnes.com/tour-dates so as to avoid “reselling” sites who typically advertise heavily online and often mislead consumers into paying much higher prices than necessary.